When recently divorced Edgar finds a nefarious looking puppet in his deceased brother’s room, he decides to sell the doll at a small-town celebration of the infamous Toulon Murders. But all hell breaks loose when a strange force animates the puppets at the convention, setting them on a bloody killing spree motivated by an evil as old as time. 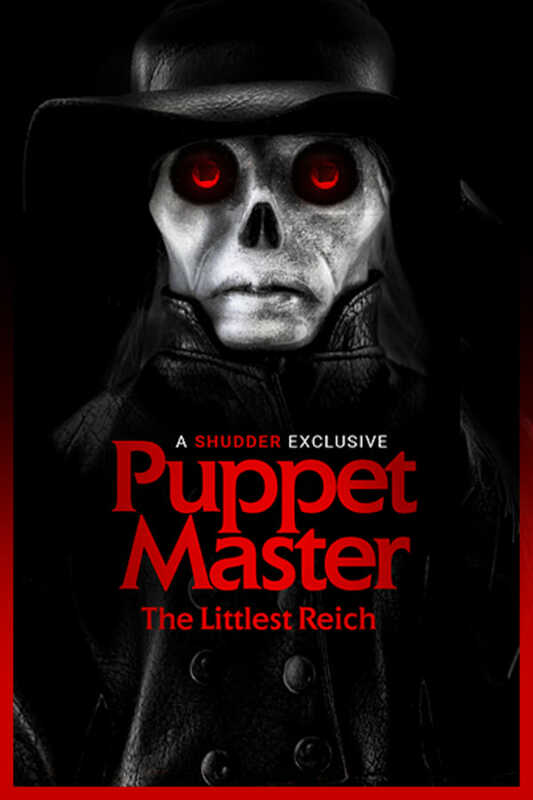 From FANGORIA, PUPPET MASTER: THE LITTLEST REICH is the goriest good time of the year. A SHUDDER EXCLUSIVE. pretty decent. not scary but the amount of puppets was a nice touch. This was wayyy better than I figured it would be! I'm a fan of the series & this is like a polished sequel made for the modern age. Gory & fun! This one is pretty solid B schlock, with better actors and acting than it deserves. Two severed thumbs up!